Come bride of Christ, and receive the crown which the Lord has prepared for you forever. Therefore, since we are surrounded by so great a cloud of witnesses, let us also lay aside every weight and sin which clings so closely, and let us run with perseverance the race that is set before us, looking to Jesus the pioneer and perfecter of our faith, who for the joy that was set before him endured the cross, despising the shame, and is seated at the right hand of the throne of God. Consider him who endured from sinners such hostility against himself, so that you may not grow weary or fainthearted. 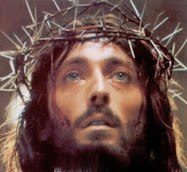 In your struggle against sin you have not yet resisted to the point of shedding your blood. And have you forgotten the exhortation which addresses you as sons?-- "My son, do not regard lightly the discipline of the Lord, nor lose courage when you are punished by him. For the Lord disciplines him whom he loves, and chastises every son whom he receives." It is for discipline that you have to endure. God is treating you as sons; for what son is there whom his father does not discipline? If you are left without discipline, in which all have participated, then you are illegitimate children and not sons. Besides this, we have had earthly fathers to discipline us and we respected them. Shall we not much more be subject to the Father of spirits and live? For they disciplined us for a short time at their pleasure, but he disciplines us for our good, that we may share his holiness. For the moment all discipline seems painful rather than pleasant; later it yields the peaceful fruit of righteousness to those who have been trained by it. Therefore lift your drooping hands and strengthen your weak knees, and make straight paths for your feet, so that what is lame may not be put out of joint but rather be healed. R./ Glory to you, word of God, Lord Jesus Christ! R.\ Glory to you, Lord. Jesus said to his disciples: “To you who hear I say, love your enemies, do good to those who hate you, bless those who curse you, pray for those who mistreat you. To the person who strikes you on one cheek, offer the other one as well, and from the person who takes your cloak, do not withhold even your tunic. Give to everyone who asks of you, and from the one who takes what is yours do not demand it back. Do to others as you would have them do to you. For if you love those who love you, what credit is that to you? Even sinners love those who love them. And if you do good to those who do good to you, what credit is that to you? Even sinners do the same. If you lend money to those from whom you expect repayment, what credit is that to you? Even sinners lend to sinners, and get back the same amount. But rather, love your enemies and do good to them, and lend expecting nothing back; then your reward will be great and you will be children of the Most High, for he himself is kind to the ungrateful and the wicked. Be merciful, just as also your Father is merciful. Stop judging and you will not be judged. Stop condemning and you will not be condemned. Forgive and you will be forgiven. Give and gifts will be given to you; a good measure, packed together, shaken down, and overflowing, will be poured into your lap. For the measure with which you measure will in return be measured out to you. 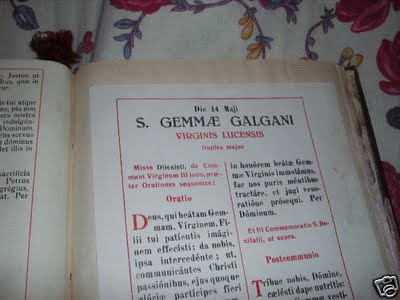 Lord, we offer you this spotless Victim in honour of the virgin Saint Gemma Galgani. Give us always a clean heart and a spirit of reverence as we gather around this altar. We ask this in the name of Jesus Christ, our Lord. I will sing to the Lord for His goodness to me, I will sing the name of the Lord, Most High. Lord our God, You have fed us with the bread of heaven. 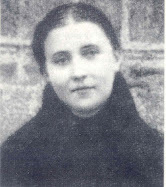 Grant that we may die to this world and live for Christ alone, by following in the footsteps of Saint Gemma Galgani. 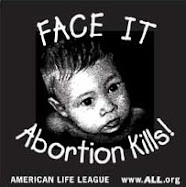 We ask this in the name of Jesus Christ our Lord. Amen. Extraordinary. Where is it from? STEVe COMBS said i like the MASS in honor to ST. GEMMA GALGANI. Thank you Steve and Senamun. I am glad to hear that you enjoyed this Mass in honor of St Gemma. It is primarily taken from the current Lectionary of the Mass and additionaly some of it is from another blog that also had the Mass of St Gemma. I love the prayers and the readings fromt his Mass in honour of our beloved St. Gemma. When we pray the Rosary at our church on Saturday mornings, end the Rosary by mentioning the Sacred Heart, Our Lady, St. Margaret of Scotland, and St. Gemma. The people of my parish are getting to know St. Gemma quite well. It is nice to hear from you again. -Thanks for your comments. It is also wonderful to hear of your continued devotion to St Gemma, and also that of your parishoners. I pray that St Gemma may be your special patroness and advocate! I am so happy to find this blog on St. Gemma. She is truly my patron and I am grateful to have visited her tomb several times. I wish she were more known throughout the world as we have much to learn from her. Thank you for your hard work here. Thanks for your comment. 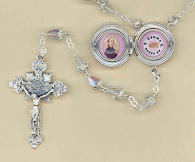 I am really glad to hear that you are enjoying the St Gemma blog. You are really blessed to have visited St Gemma's tomb/monestary several times. May St Gemma always be your special friend and advocate! with Mary, Joseph and Saint Gemma Galgani.